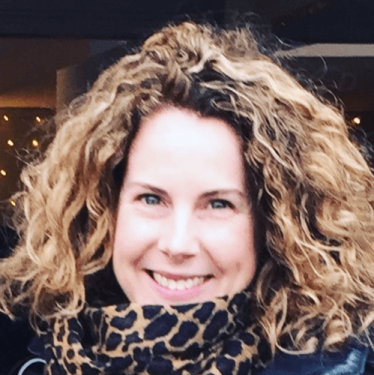 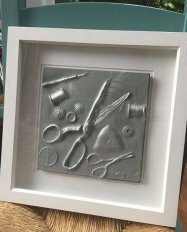 Tara is an artist who lives and works in Ilkley. 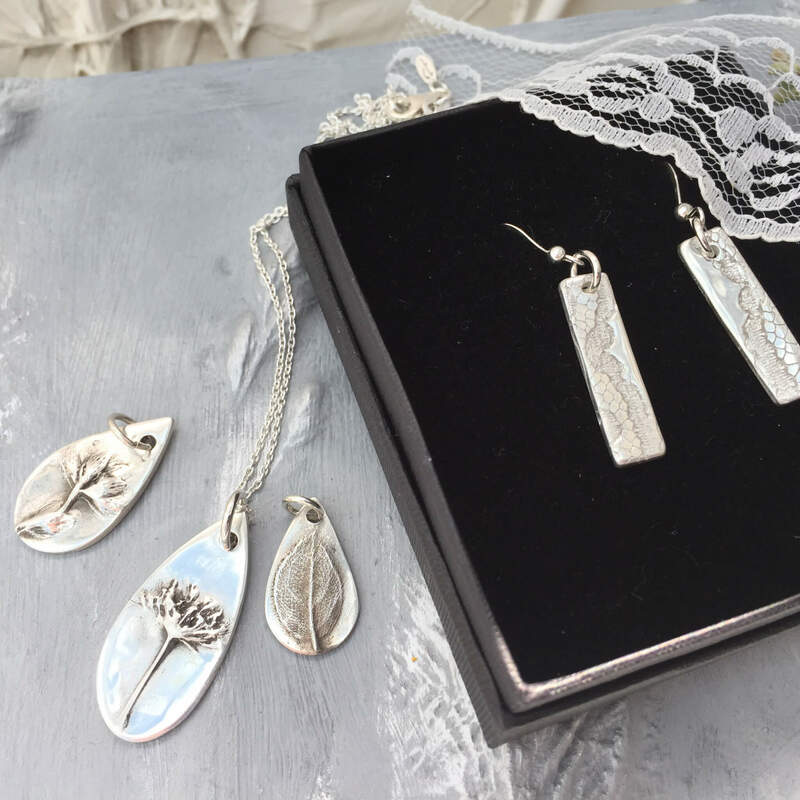 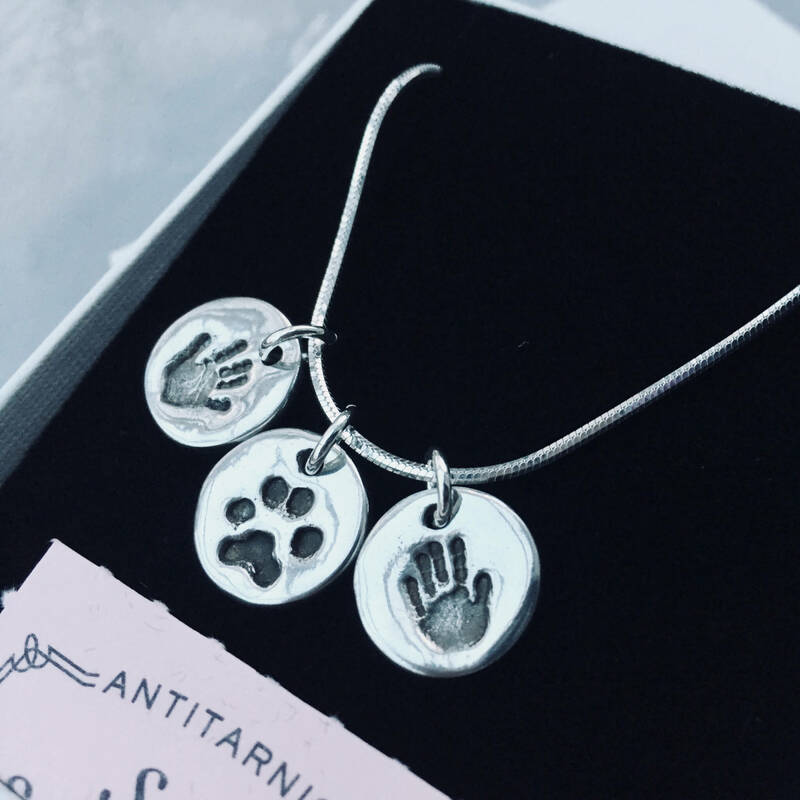 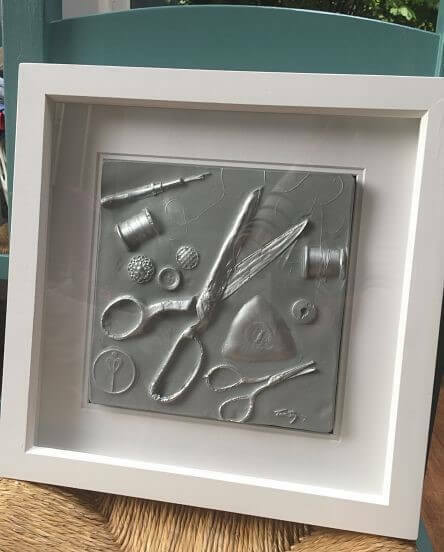 After having her 2 children she started Joy Impressions in 2010 creating personalised silver jewellery and casts. 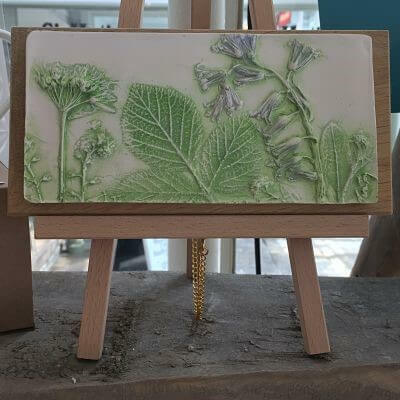 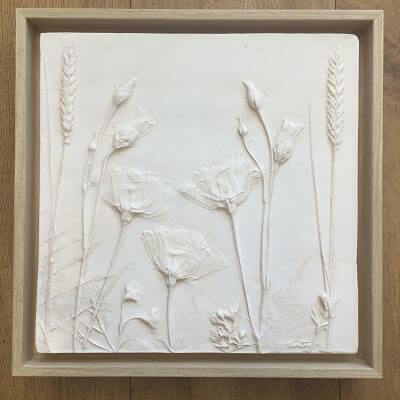 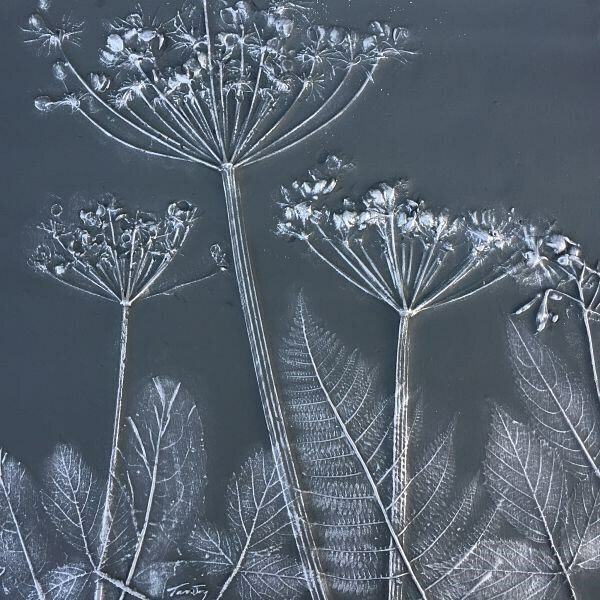 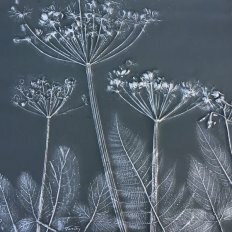 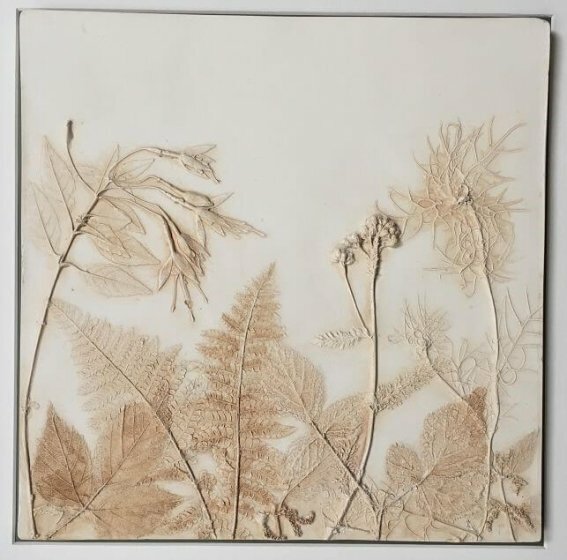 In the last few years Tara has started casting flowers and foliage from her walks around Ilkley Moors and countryside capturing nature and all its detail in relief plaster casts. 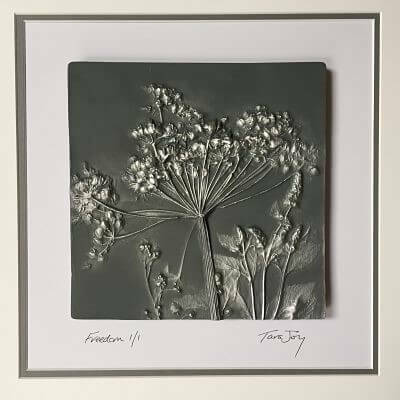 The flower and foliage are a joy to create states Tara. 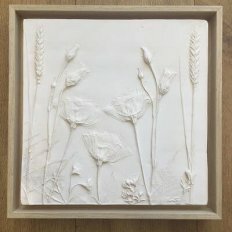 Walking around this beautiful valley and seeing nature in all its wonder inspires me to create unique pieces of art. 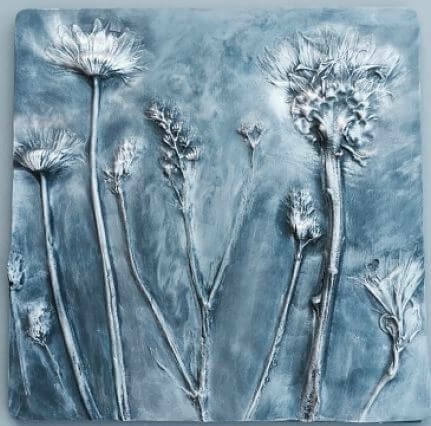 Tara lays them on to a rolled-out slab of clay and presses them in to capture all their details. The magic of revealing the raised cast when you peel back the clay from the plaster and all the beauty of the plants textures and details are there to see and then carefully painted to reflect natures natural beauty. 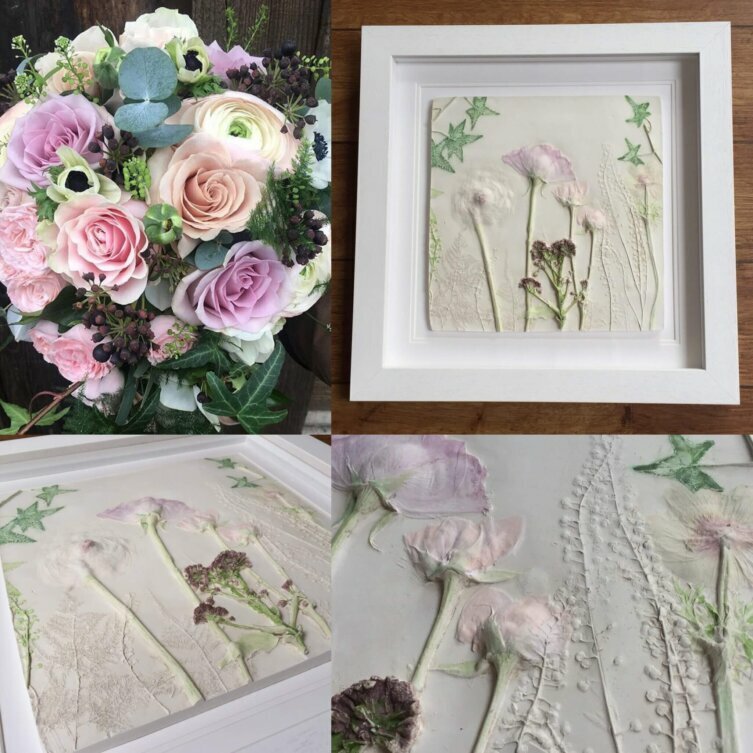 Tara has started taking commissions from clients that have favourite flowers or bouquets of flowers that they would like to capture and treasure in a piece of artwork.